﻿ Is Jonathan Rea your 2017 MCN Man of the Year? 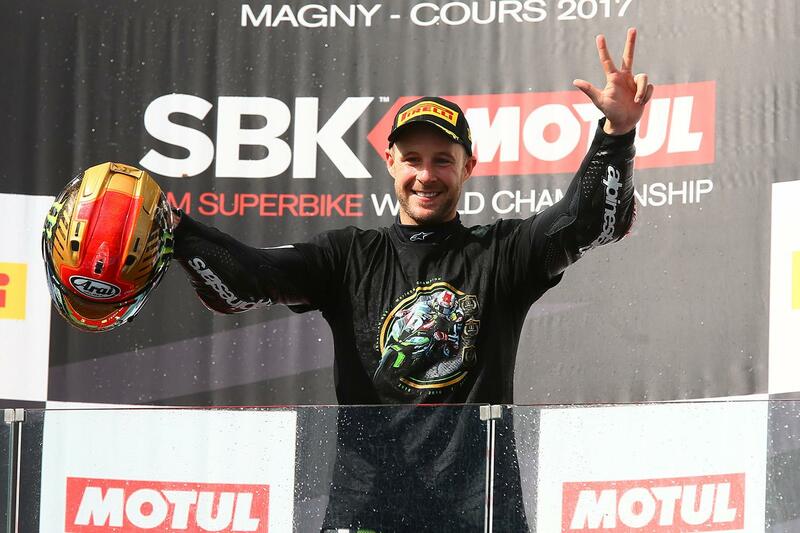 Jonathan Rea settled any arguments that he’s one of the greatest of all time when it comes to World Superbike racers, doing what even the great Carl Fogarty couldn’t do and take his third consecutive title in the class in 2017. Not only winning the title but dominating it this year, his incredible win record means that not only is he now the second-most successful WSB racer of all time, he’s managed to win an incredible 70% of races since he first jumped onto the Kawasaki machine at the start of the 2015 season. Such have been his achievements this season that Rea has also become the first racer in a decade to be rewarded for his merits outside the sport, visiting Buckingham Palace earlier this year to collect his MBE award and coming home in second place overall in the BBC’s Sports Personality of the Year.